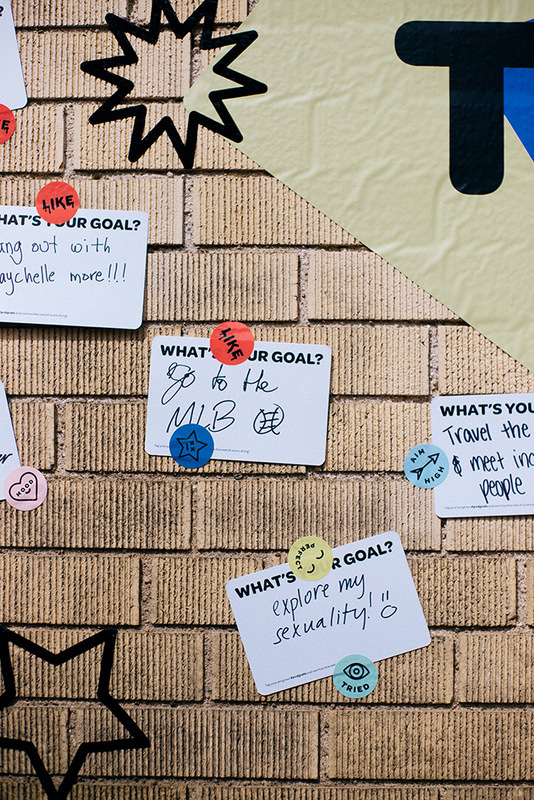 Reaching goals and dreams, one small step at a time. 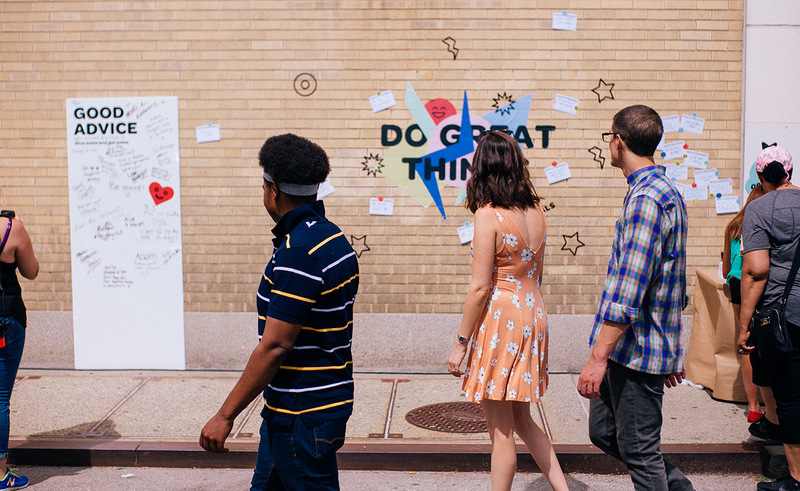 With a seemingly endless stream of the bad news hitting us in 2018, we were inspired to design an experience that would invite conversation and connection in real life and motivate visitors to do great things. 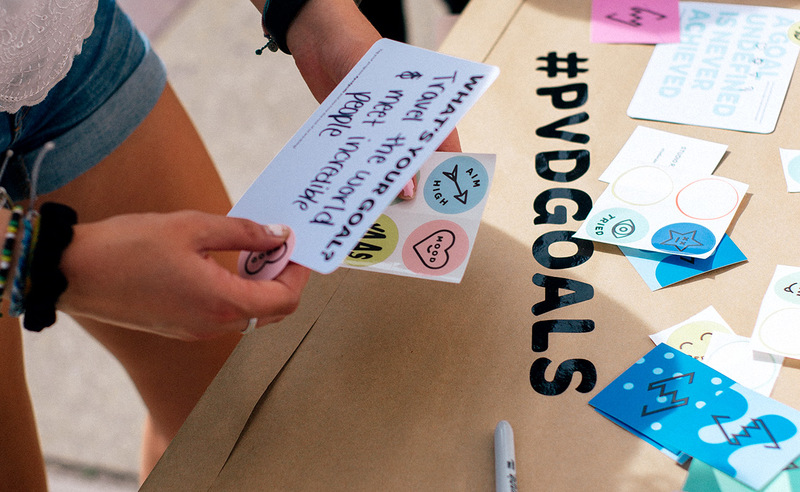 Through the year, we installed our Goals and Dreams project at festivals and events to an incredible response. 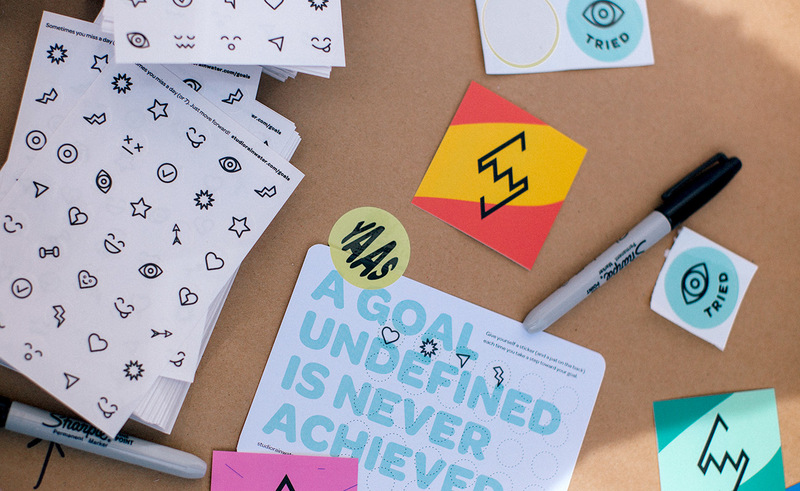 Putting pen to paper to define a goal can be challenging, but is one of the most powerful steps toward achieving it. 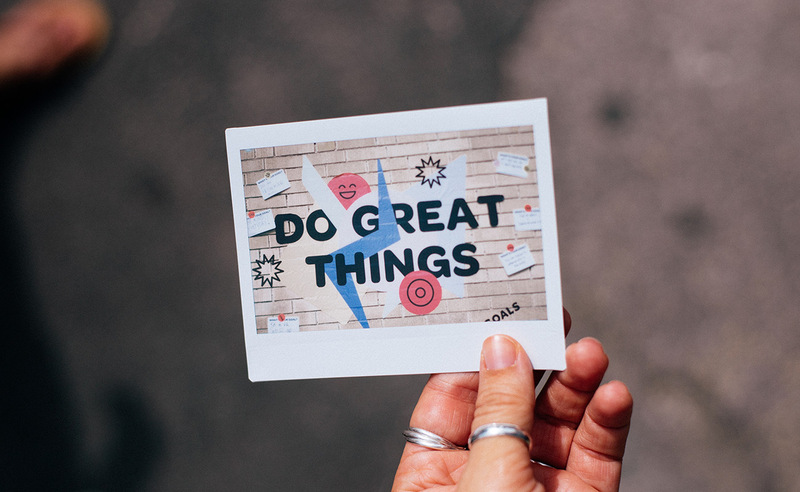 In our work with businesses and organizations, we’ve seen that having a clear vision and adhering to it consistently is the key to making an impact. 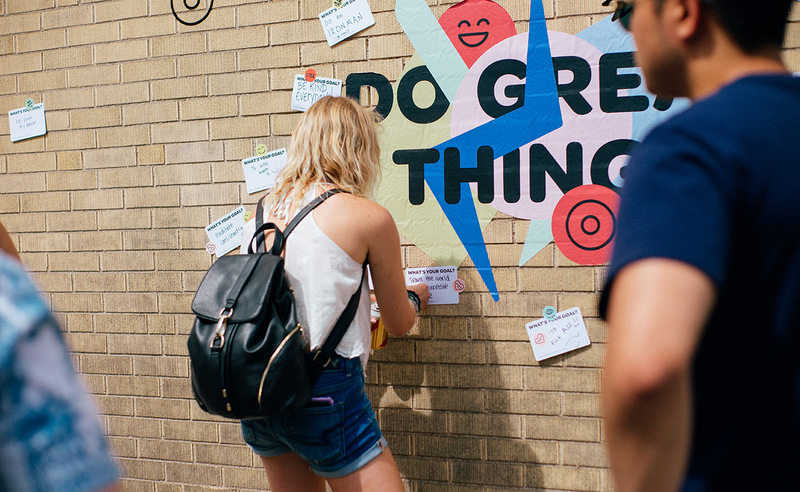 But, what if it were also fun? 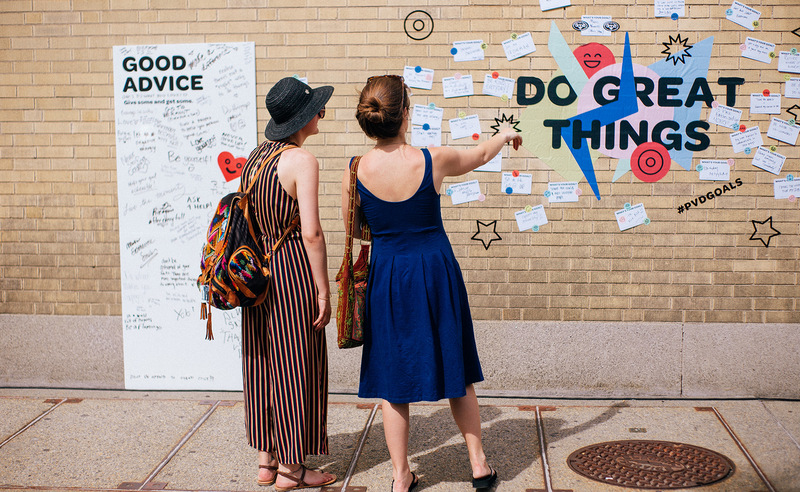 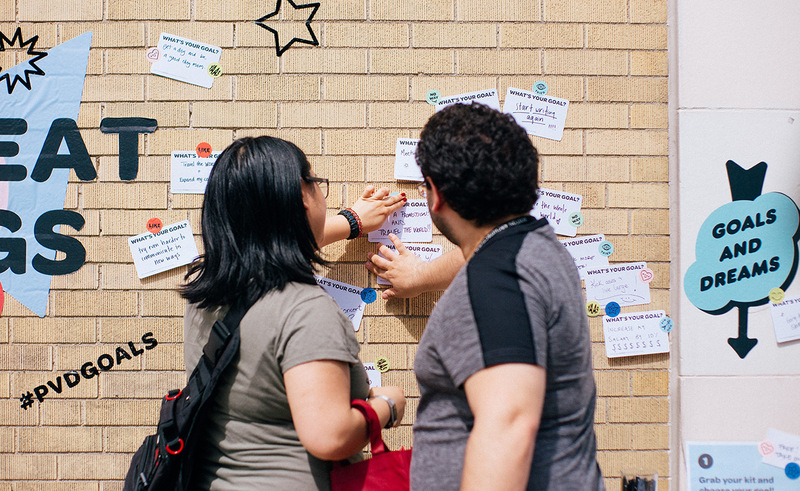 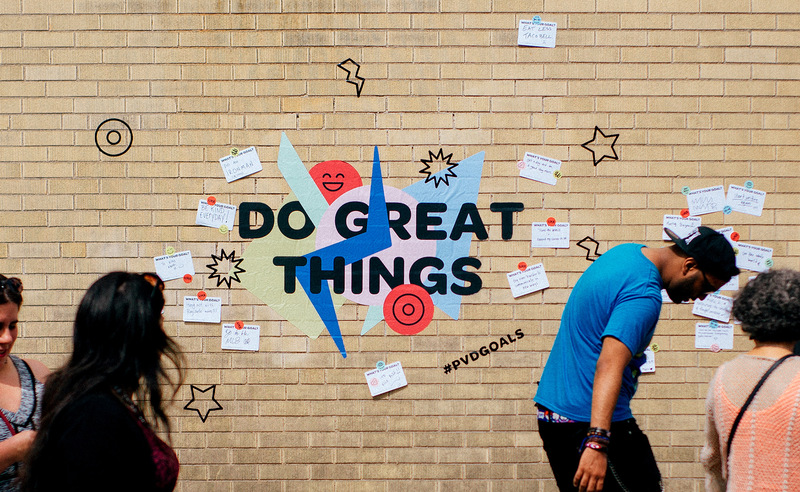 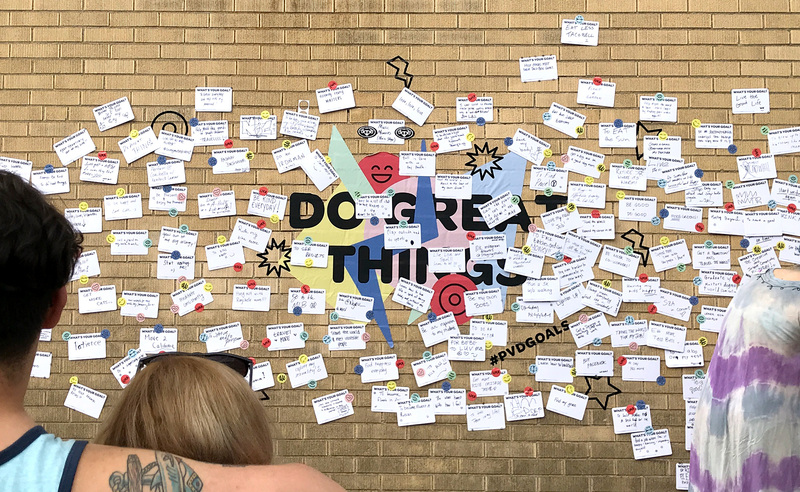 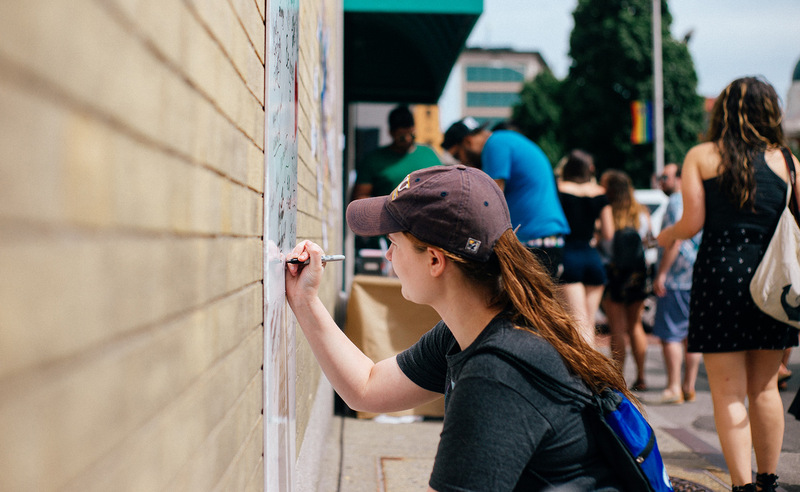 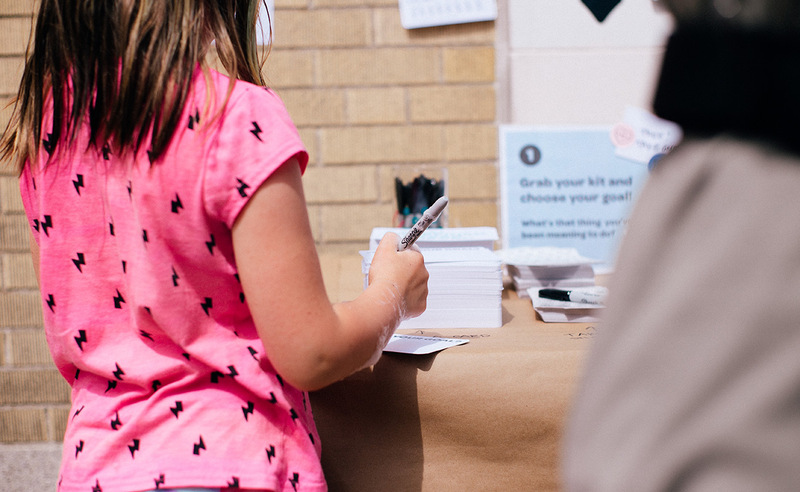 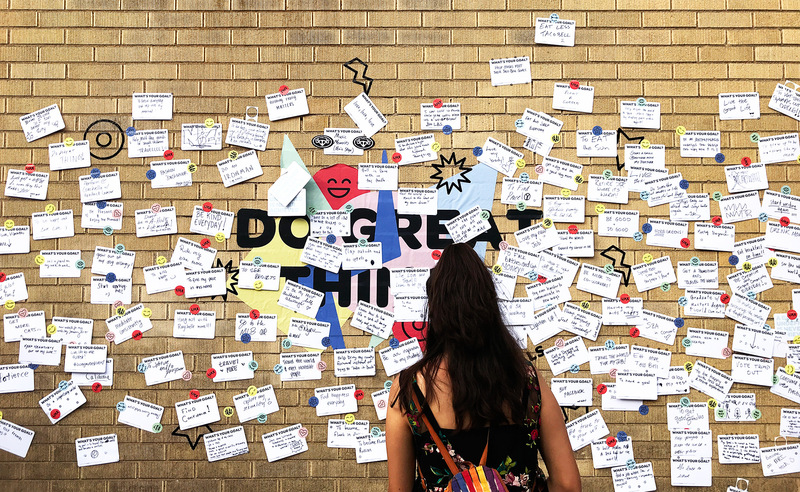 We installed wall graphics and handed out goals kits and cards at PVD Fest, a 4-day arts and culture festival in downtown Providence and at Design Week Rhode Island. 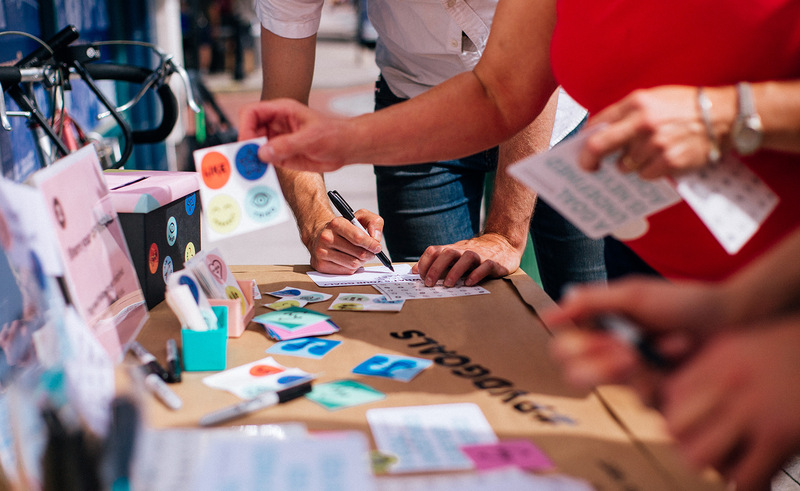 The graphics, cards and stickers are designed to be eye-catching, playful and non-judgmental so participation would feel more like a game. 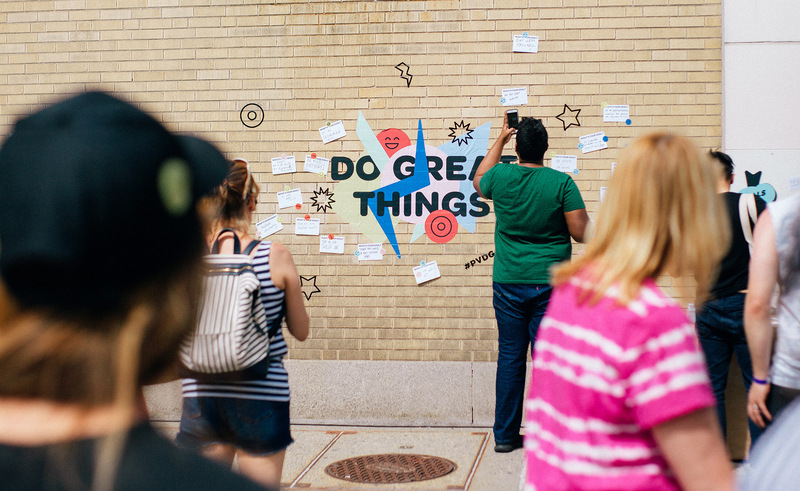 The installation drew hundreds of participants of all ages, who set goals that were touching, funny, ambitious, and beautifully simple. 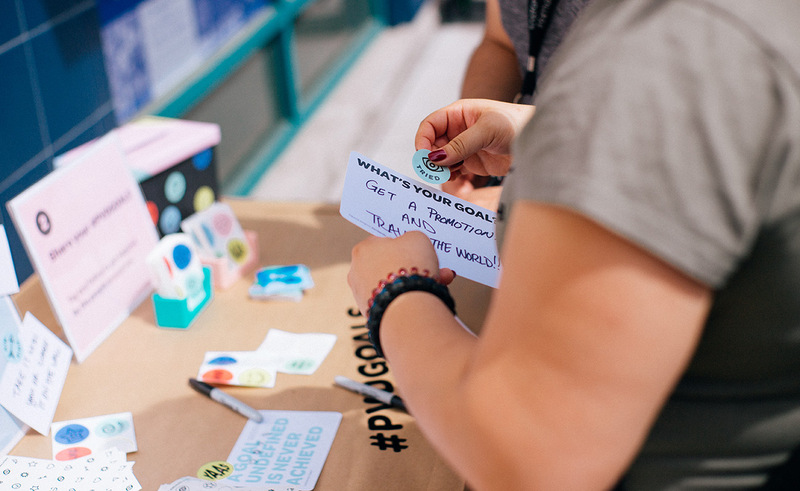 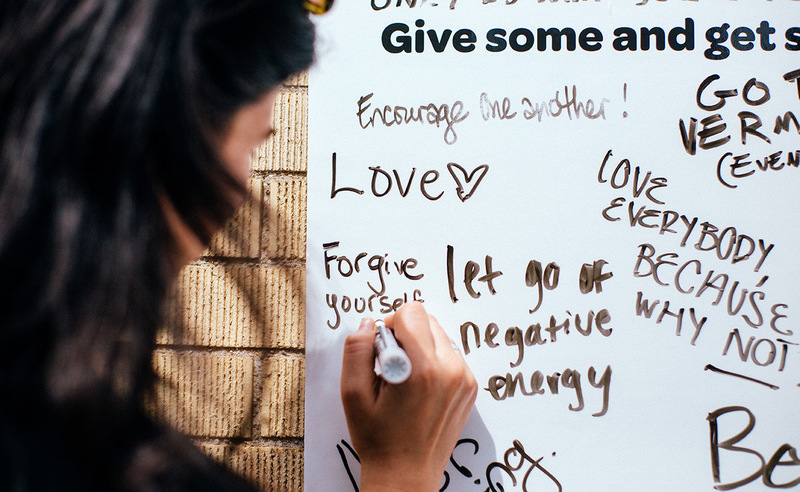 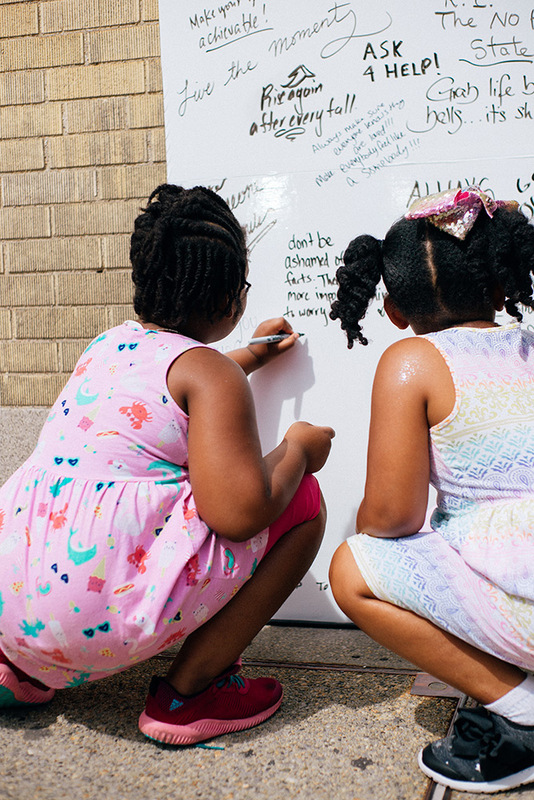 The project sparked conversations and questions, inspiring participants to evaluate their own priorities, share their experiences, and support others. 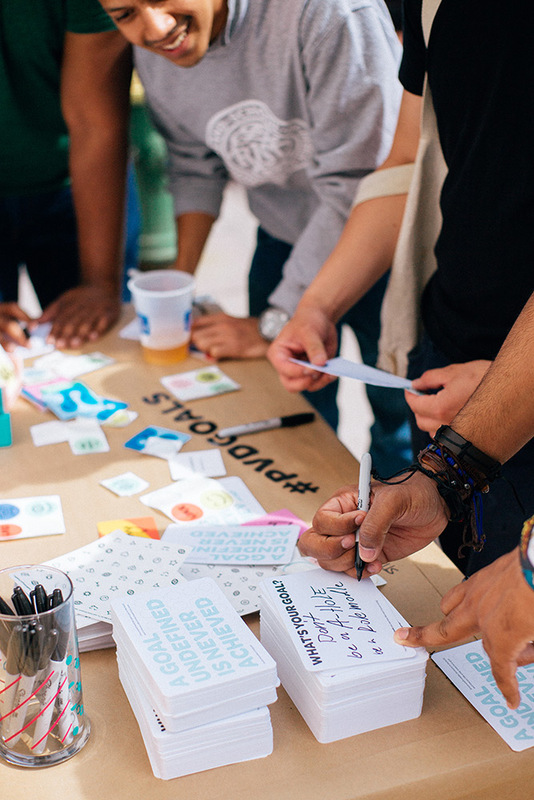 Contact us if you are interested in having this project installed at a venue or event.